Bulgarian and Romanian Railways start operation of the computerized track geometry measurement trolleys PT-10, one of the most popular and mass-market tools made by TVEMA for railway track parameters diagnostics. Due to simple and reliable design, which allows operation in any climatic conditions, as well as state-of-the-art hardware and flexible software, PT-10 enjoys high demand from track geometry specialists on railways and production plants of Russia and CIS countries. Now came the time for its’ premiere in Eastern Europe. First time the Bulgarians saw this trolley in the end of 2013 in Sofia, when at the request from National company «Bulgarian State Railways» (BDZ) a huge presentation of goods and services provided by TVEMA for foreign markets of railway diagnostics took place. A contract between TVEMA and BDZ was signed at the end of 2017 and first batch of trolleys in European modification for 1435 mm gauge has already been delivered. Romanian Railways management made a decision to purchase our NDT trolley immediately after it won the open competition in March 2018. In the nearest future, a batch of European-gauge trolleys will be shipped to Romania. After delivery of our products, specialists of the company always perform obligatory training of the customer’s staff in terms of operation of delivered tools. 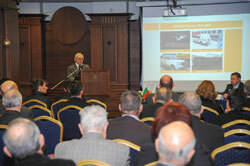 The same happened for Bulgarian Railways and the same will happen for Romanian colleagues. First experience of operation of PT-10 in Bulgaria has shown that it effectively and smoothly took its’ place in the general infrastructure of railway diagnostics of the country. We hope to achieve the same success in Romania. TVEMA specialists are confident that PT-10 in these countries will become a reliable assistant of track teams like it did in Russia.